Dubai: Pakistan today as safe as any other country in the world, said a top Pakistani diplomat in the UAE. “We are on the path of development as we have eliminated terrorism from our country and have extended hand for peace with our neighbours,” Ambassador Moazzam Ahmad Khan said while speaking in Abu Dhabi on the occasion of the 79th Pakistan National Day. 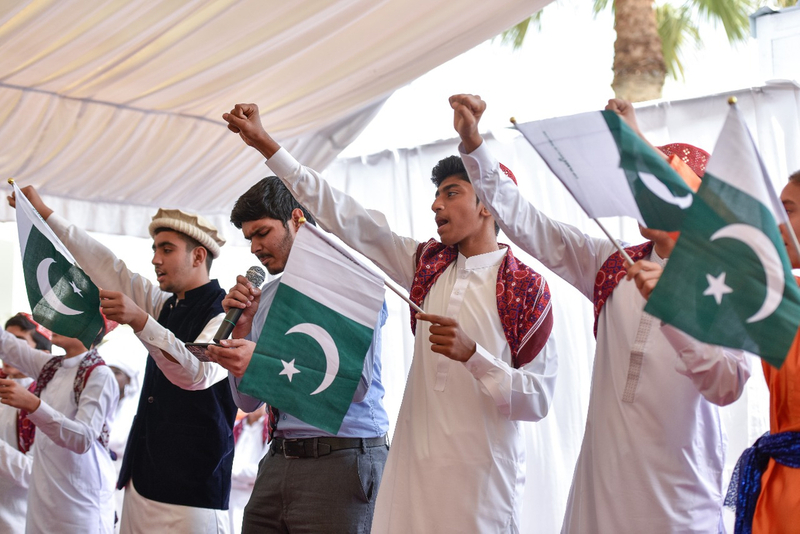 Hundreds of Pakistani community members gathered on Saturday at the Pakistani missions in Abu Dhabi and Dubai to mark the day. Ambassador Khan hoisted the flag and especially thanked the UAE leadership for standing by his country in recent difficult time and contributing to its development. “On the occasion the National Day, we thank friends of Pakistan in particular the UAE for helping Pakistan,” Ambassador Khan added. He said that the successive meetings between the leadership of the UAE and Pakistan in the recent months have yielded in transforming these bilateral relations into strategic partnership. While appreciating the unity and maturity displayed by Pakistani nation during the recent tension with neighbouring, the Ambassador reiterated the readiness of Pakistan to play its part in winning lasting peace in the region. “Ambassador Khan also appreciated the role of overseas Pakistanis in the economic development of the country. He assured the community of full support and cooperation of the Embassy during their stay away from home. 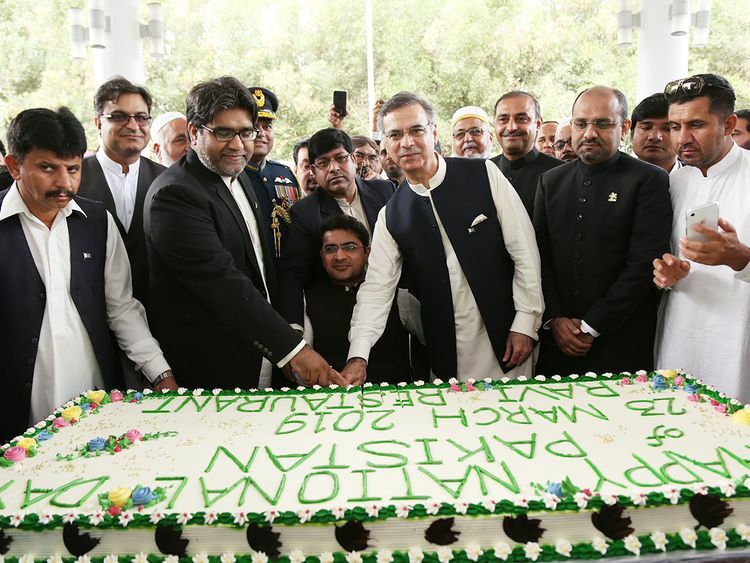 Hundreds of Pakistanis living in the UAE gathered at the Pakistani missions in the UAE to mark the Pakistan Day. 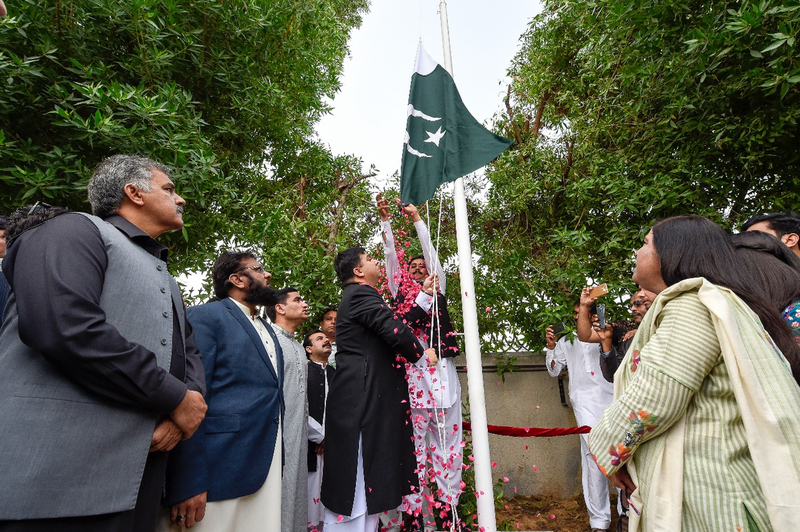 Though the community members also planned weeklong celebrations across the UAE, the official events of flag hoisting were held at the Pakistan Embassy in Abu Dhabi and its consulate general in Dubai. National Day messages of president and the prime minister of Pakistan were read out. Every year Pakistan Day is celebrated on March 23 throughout the country to commemorate the adoption of the Pakistan Resolution also called Lahore Resolution by the All India Muslim League on March 23, 1940 in Lahore, which demanded a separate homeland for Muslims in South Asia. 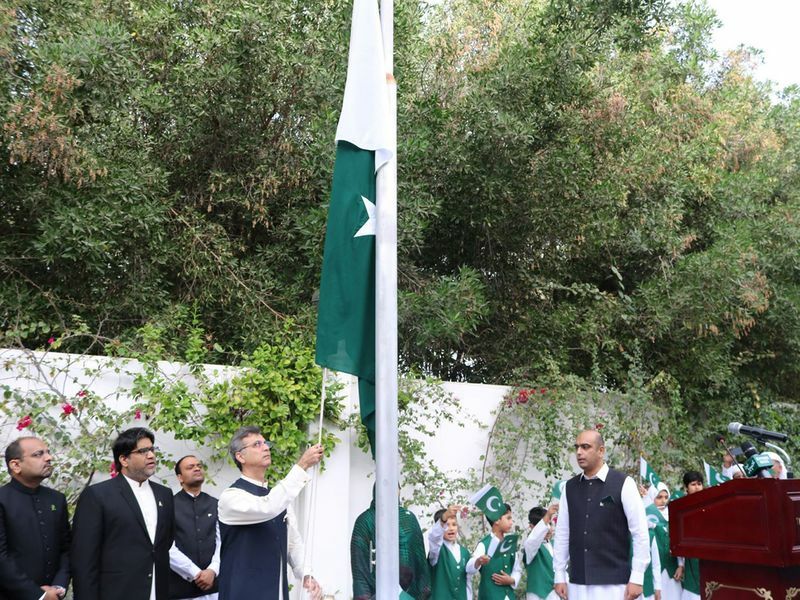 In Dubai, Pakistani Consul General Ahmad Amjad Ali hoisted the National Flag, while the National Anthem was played. During his speech, Ali recalled the great sacrifices rendered by our forefathers for a separate homeland. He said that the Pakistani nation had witnessed many challenges and measured up to each one with resilience and resolve. “In fact due to tremendous sacrifices by the valiant civil and armed forces personnel, Pakistan is an inclusive, tolerant and forward looking society,” he said that Pakistan is now open for tourism and investment as it is a safe and peaceful country now. He pointed out that the recent three visits of Prime Minister of Pakistan Imran Khan to UAE and the visit of His Highness Shaikh Mohammed Bin Zayed Al Nahyan, Crown Prince of Abu Dhabi and Deputy Supreme Commander of the UAE Armed Forces, to Pakistan during last 6 months are manifestation of special affection and relations between the leadership and people of both countries. He urged the Pakistani community to contribute collectively towards the well-being and prosperity of Pakistan and the UAE. Consul General Ali said that the consulate has launched social media channels with effect from March 23 to make it easy for the community to interact with the missions. Also, he said a number of other community friendly initiatives will be taken to enhance outreach and facilitation with all Pakistanis in Dubai and Northern Emirates. Ceremonies were also held at the Pakistan Association in Dubai and Pakistan Social Centre in Sharjah. Various community groups including Pakistan Tehreek-e-Insaf, Pakistan Journalist Forum in the UAE also held events to mark the day.